The HealthStyle File: Can You Slow Down The Aging Process By Eating Healthier Foods? What: Aging. It will happen, sorry. When I mention aging, I’m talking about aging in your whole body. I know it may just feel like your face but the entire body ages, inside and out. Why: In a word, oxygen. By now you’ve probably heard of free radicals. Free radicals are the by-product of oxidation. We must have oxygen to live, but the by-products of that oxygen can age us. There’s a solution, an antidote for this oxidation, its called antioxidants. Consuming a diet rich in antioxidants can help your body to heal areas that have been damaged by free-radicals. Green Tea. Green tea is full of health producing, disease-reducing, anti-aging antioxidants. One cup of green tea provides 10-40 mg of polyphenols (antioxidants). The health effects are greater than a serving of broccoli, spinach, carrots or strawberries. The high anti-oxidant activity protects the body from aging due to free radicals. Flaxseeds. Flaxseed is one of the richest sources of omega-3 fatty acids. This acid is pivotal to the health of your brain, body and skin. The oil is so good for your skin that it can help to alleviate dry winter skin and dandruff. Flaxseed also contains lignans (a rich source of antioxidants); these anti-oxidants help slow down the aging process. Apples. 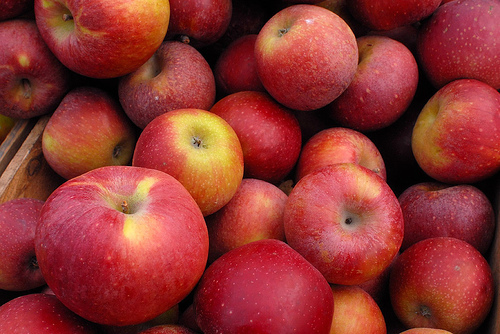 Apples have excellent free-radical scavenging properties. When an old car sits out in the rain it can get rusty. 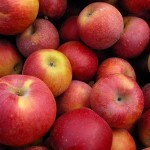 Apples help keep you from getting “rusty” from the inside out! Berries. Berries are full of anti-aging antioxidants. They provide your body with a powerful arsenal against aging attacks. Water! Our bodies are more than 70% water, yet most people drink very little water each day. Instead, choosing high sugar sodas and juices. When you get dehydrated, it shows up on your skin almost immediately. You will begin to see fine lines and wrinkles in skin that is parched and dehydrated. Green leafy vegetables. Spinach especially can help to protect your gorgeous eyes as you age. Spinach can help protect you from age related macular degeneration. Pumpkin. Pumpkin is loaded with phytonutrients that keep your skin young and protect you from sun damage.